Then, with tears streaming down her cheeks, Lansbury was presented with the prop bugle she’d used every evening for her entrance at the top of the show. Only now, it had been lovingly engraved by her company. While it was all loving cups and laurels for Angie, the producers were having a tougher go of things. As you can imagine, losing a star can be a real sock to the gut at the box office. The producers needed to find a way to keep their beautiful money printing machine in working order. And, as hard as it was for producers to settle on Angela Lansbury in the first place, selecting her replacement was proving a similar crucible. [Holm] is at her truest, one feels, in the sentimental scenes with her nephew Patrick. Here Miss Holm strikes a vein of tender feeling without plundering it so outrageously that one is embarrassed. One thing that did not work as well as it might have last night was Mame’s madcap side. In the first act party scene, for example, it is not enough for Mame to look as if she is having a marvelous time. She also has to look confident— supremely confident— that everybody else is having a marvelous time, too. I must say at once say that she gives the show a real shot in the arm. It sounds somewhat ungallant to say of any lady that she was a favorite of my youth, but she was. There was a vivacity about Ann Miller that made her stand out from the somewhat languid movie stars of the late Forties and early Fifties, she had some of the longest and loveliest legs in show business, and she danced like fury, with a girl-next-door grin and taps as fast as a tommy gun. Well, the grin is still there, the legs if anything better than ever, and she still dances superbly. Understandably, the dancing part of the role has been extended slightly and now provides a show-stopping high spot. I notice that one of my colleagues is suggesting that Miss Miller is the best Mame of them all, and he may possibly be right. I prefer not to play favorites. Miss Miller’s however, as rather different from her predecessors’— she is warmer, friendlier and rather less sophisticated. With a review to match her irascible charm, Ann Miller was able to boost the box office for an additional year of performances. She closed the show on January 3, 1970 after it had played 1,508 performances. But for all the Mames there were, there was the one that wasn’t: Judy Garland. 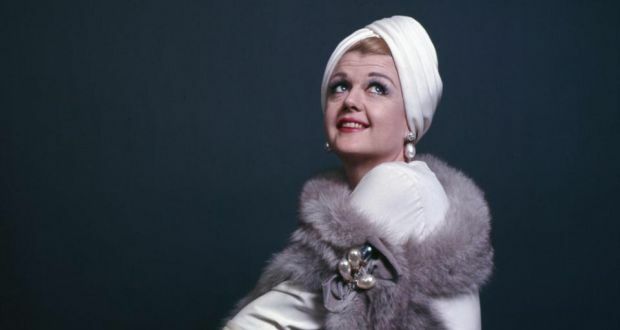 Jerry Herman thought she’d be perfect. And he almost got his wish. Almost.